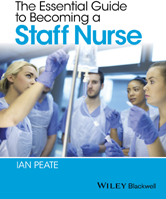 Providing you with the key knowledge to help consolidate your degree course, The Essential Guide to Becoming a Staff Nurse will enable you to become an autonomous and accountable practitioner. Covering everything a newly registered nurse needs to know. Who should carry out the delegated activity?